Little Robot Finger Puppet | Pi'ikea St. Happy Friday everyone! I present to you now the first in our series of crafts. 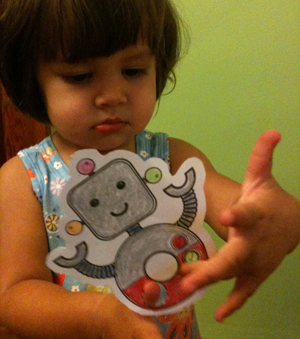 Here is our little robot as a finger puppet to sing and dance with! 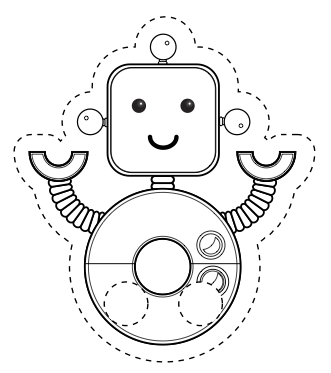 Just print him out on some nice paper, color him up however you wish, then cut him out and let the good times roll! And here is a little rhyme to sing to the tune of “I’m a Little Tea Cup”.